Ever thrown $125 in the trash? Or the fireplace? Flushed it down the toilet? Of course not – that would be nuts. But, according to Maine Congresswoman Chellie Pingree, every family in America does just this… and they do it every month. How? 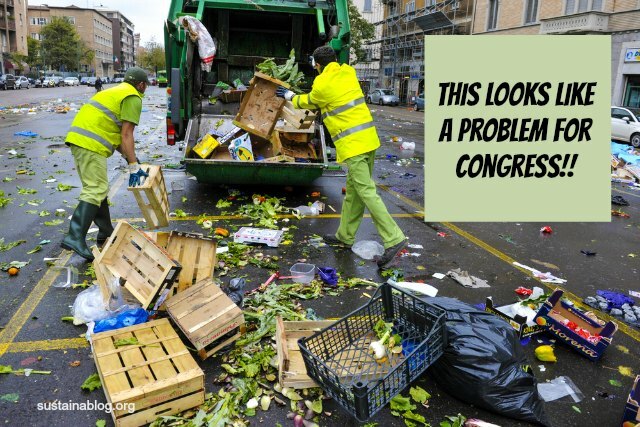 By contributing to food waste in America, which costs all of us $160 billion every year. Farm waste: Most of us don’t realize how much food gets tossed on the farm; Pingree’s bill would discourage this waste in a number of ways. Farmers could earn a tax credit for donating edible food that would otherwise go to waste. The government would continue to support waste-to-energy and composting facilities for food that could no longer be eaten. Retailer waste: Grocery stores often end up tossing perfectly good food because of expiration dates that aren’t expiration dates, but, rather, manufacturer suggestions. The Food Recovery Act would regulate the wording of these kinds of dates, as well as require accompanying language noting that the dates are suggestions. Retailers would also be protected by stronger Good Samaritan provisions for the donation of edible food, and encouraged to do so with greater tax incentives. Government waste: The federal government, as you might imagine, buys a lot of food… and a lot of it also gets wasted. The Food Recovery Act would establish an office for managing intra-government food waste, and add requirements for contractors to responsibly dispose of leftovers and overstock. School waste: a lot of food goes to, and gets wasted in, school lunch programs. Pingree’s bill would encourage the purchase and use of “ugly” produce by schools, fund educational efforts for students, and strengthen connections between schools and farms. That’s not everything: again, this is a very comprehensive approach to handling food waste in America. Take a look at the bill summary (or, if you can handle reading legalese, the bill text), and share your thoughts with us. If you feel so moved, show your support by signing a petition Pingree created at Credo Mobilize. Do you think such a proposed law has a chance of passage given current political realities (including the presidential race)?